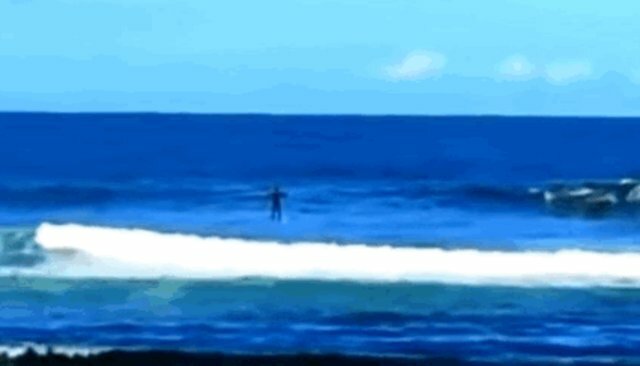 A paddleboarder participating in a surf competition in South Africa was given a stunning reminder that humans aren't the only ones who enjoy frolicking among the waves. Bernard Le Roux was waiting atop his board during the Stand Up Paddle portion of the Vintners Surf Classic earlier this month when a pod of playful dolphins appeared, leaping through the rolling water straight toward him. Normally, surfing etiquette would dictate that Le Roux yield the right of way to surfers nearest the curl - and it's clear to see why.